Bitter & Twisted barman Ross Simon takes writer on a tour of his favorite CenPho cocktail spots. 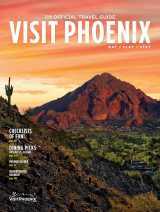 For a while, I’d been hearing tales of a blossoming cocktail culture in downtown Phoenix. 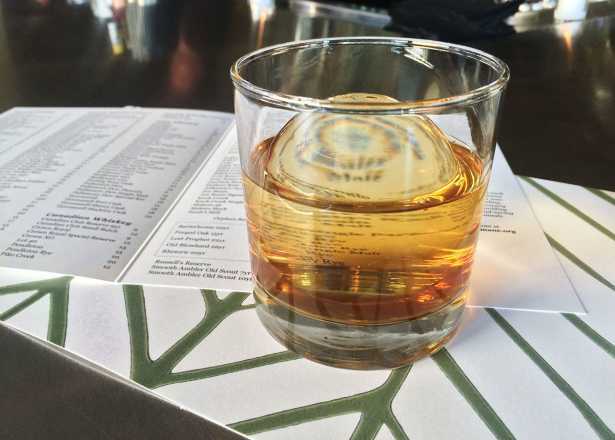 Never one to pass up the chance to sip a mixed drink, I decided to explore downtown’s spirits scene. My guide? The undisputed cocktail king of Greater Phoenix, Ross Simon, proprietor of Bitter & Twisted, downtown’s ne plus ultra cocktail parlor, and one of the founders of Arizona Cocktail Week, a series of events, tastings, seminars and dinners celebrating mixed drinks and the art of bartending. I didn’t know what to expect of Simon when we meet at his establishment on a weeknight. I’m thinking some louche lounge lizard, perhaps, or a scenester sporting a neck beard and a man bun. Instead, Simon, 36, is fresh-faced, boyish-looking and passionate about his work. Simon’s Bitter & Twisted is a good starting point for our cocktail crawl. Opened in 2014, it was the first Arizona bar to garner a nomination for “Best American High Volume Cocktail Bar” at Tales of The Cocktail (colloquially known as the “Oscars of bartending”). Bitter & Twisted is located on the ground floor of the historic 1924 Luhrs Building, designed in the Beaux Arts style by Trost & Trost, a Texas architectural firm noted for its landmark buildings throughout the Southwest. “The Arizona Prohibition office was housed in this building,” says Simon. “Ironic, no?” According to Simon, as Prohibition officers poured confiscated booze down the drains, an enterprising janitor set up collection diversions and sold the dumped hootch. And talk you should, to decide what to drink from the establishment’s voluminous “Book o’ Cocktails,” as well as what to eat from a tasty, Asian-inspired menu by chef Bob Tam. 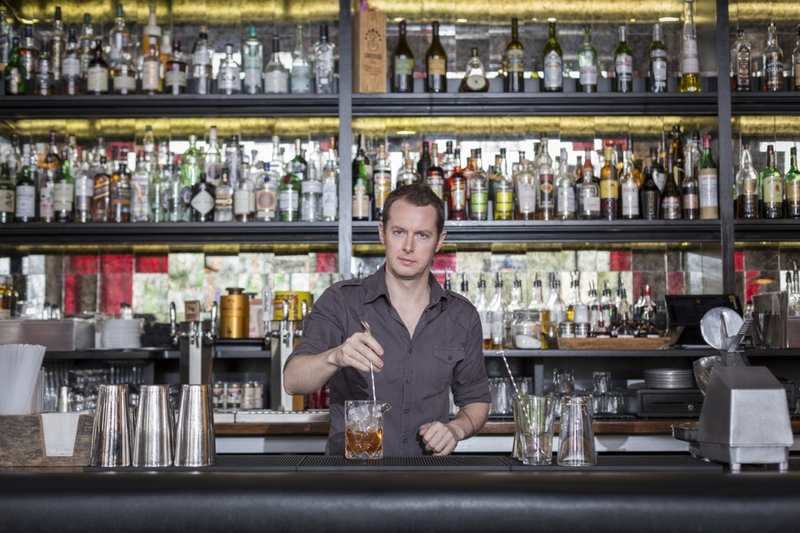 About the cocktails, though: Simon and his team of bartenders use filtered water; special ice; fresh-squeezed (and, often, local) juices; fresh fruits, vegetables and herbs; and spirits—some of them obscure—from around the planet. I could sip a second one, but we have three more places to visit and need to exercise some serious pacing of our alcohol consumption. 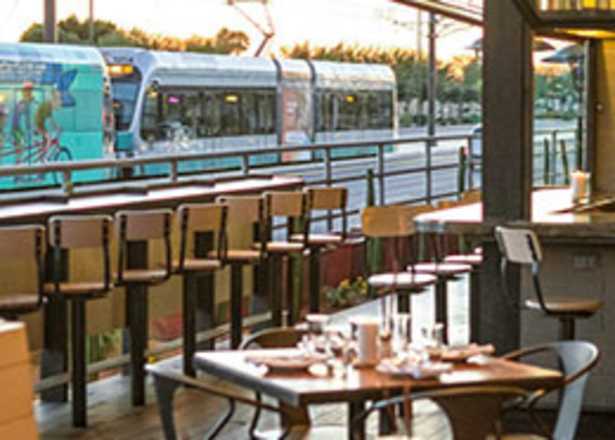 To be prudent, Simon and I opt to walk and ride the light rail between bars, and to mix our drink-sampling with food and plenty of water. Have you tried one of our new summer cocktails? Come on in to try one and let us know which is your favorite - we are open seven days a week! 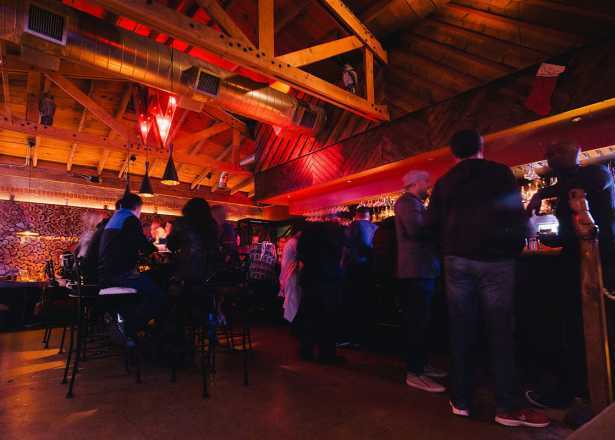 We meander to Valley Bar, the underground (literally—it’s in a basement) speakeasy that you enter through a back alley off Central Avenue and Monroe. It’s cool and dark down here and, for Simon, the bar serves as a respite from the pressures of work. Simon, though, encourages me to sample from Valley Bar’s cocktail menu. While we wait for a flatbread to munch, Ryan the bartender mixes up The Original Sinema, a sweet-tart vodka concoction with a dash of ginger liqueur, lime juice, honey syrup and club soda, served over ice with a sprig of rosemary. It’s a homage to Arizona Congresswoman Kyrsten Sinema, one of Valley Bar’s many references—cocktail and otherwise—to Arizona politics and history. There’s also the cucumber vodka-based Latter Day Flake, in honor of U.S. Senator Jeff Flake, and equal time is given to his Senate colleague in the form of The McCain, a South-of-the-Border-themed cocktail. We enjoy our drinks in a part of the bar called the Rose Room, filled with political mementos and named in honor of Arizona’s first woman governor, Rose Mofford. Above the bar there’s a hanging, backlit art installation that casts shadows on a circular scrim. The subject? Winnie Ruth Judd, the infamous “trunk murderess” of Phoenix, who took packing to a whole new level. While it’s easy to stay and ponder the Arizona-ness of Valley Bar, Simon insists it’s time to move on, and we walk north to Rum Bar, the tiny, Caribbean-influenced annex to the popular Breadfruit, a restaurant that specializes in Jamaican cuisine. Dwayne Allen, who owns both establishments with his wife, guides our food and beverage choices, sending out rock shrimp ceviche and jerked prawns with Johnny cakes as we peruse the cocktail menu. The bar displays some 150 premium rums from places like Jamaica, Martinique and Barbados, so it’s no surprise that classics like mojitos, daquiris and piña coladas anchor the libations menu. I opt for something more adventurous, ordering a 54 Forty Six—a tall, potent mix of rum, fresh pineapple juice and blackberry shrub, with a touch of lemon, vanilla and horehound tincture, garnished with a citrus leaf. Speaking of garnishes, the small bar is ladened with exotic garnishes—fresh and candied fruits, herbs, spices and more—set within snacking distance. A small sign admonishes bar patrons who might contemplate fondling the food to keep their hands to themselves. Hard as it is to tear ourselves away from the rum-induced island atmosphere, Simon and I head farther north, this time jumping on the light rail to Clever Koi, an Asian-influenced eatery with a strong cocktail program, courtesy of chefs/foodists Joshua James, Nick Campisano and Jared Porter, who have deep roots in the Greater Phoenix culinary scene. The kitchen sends out soft-shell crab, served with crispy fingerling potatoes, apples and smoked daikon. Roman, the bartender, steers me through the modern libations list (there is a throwback scorpion for two on the menu) toward the cool, aromatic strawberry-ness of a Guns + Rosé—vodka, vermouth, lemon juice, simple syrup and a float of rosé. Served in a tall glass, the pale pink column is topped by an orange peel rose. Lovely as Clever Koi is, it is a Wednesday night, and Simon and I are spent after an evening of spirit-sampling. We get back on the light rail to Bitter & Twisted and bid each other good night. Simon still has a few hours of business to oversee, and I head home. I’ve gotten but a small taste of downtown Phoenix’s cocktail culture, but I feel steeped in Simon’s knowledge of the scene. I’ll definitely be back for another round.